Most of the time “remorseless killing machine” has a negative connotation. But it’s easier to appreciate after witnessing the regular season zoo, where natural predators dulled by success struggle through a blend of affluenza, ambivalence and ADD. If all it took for everything to snap into place was a trip to Madagascar, we’d have booked the tickets ourselves. But life – unlike delightful animated talking animals – lacks concision and economy of purpose. We endured six months of will-they/won’t-they spiraling into the Eastern Conference's number one seed while registering improvement that hardly seemed visible from within the staircase. Yet after another lackluster first half and disappointing first minute and a half of the second, the Cavaliers turned beast on the Pistons. Cleveland stripped Detroit’s gears faster than a private dancer, and rend the drive shaft from the transmission, shoving it straight up their catalytic converter during a 27-8 run the rest of the third quarter, en route to a relatively painless 107-90 victory. Like in Sunday’s game, the Cavaliers came out flat and a step slow. They recovered in the second quarter quickly thanks in part to a rotational change Lue made. Following former coach/boss David Blatt’s lead, Lue’s returned to last year’s tendency of letting LeBron start the second with the reserves, and finishing out the first with Kyrie Irving and Kevin Love. James' scoring presence with the great point guard play of Matthew Dellavedova was too much for the Pistons during those stretches. The 13 minutes those two spent in lineups with Iman Shumpert, Richard Jefferson and either Channing Frye (10) or Kevin Love (3), the Cavs outscored the Pistons by 16 points. It was too much for the Pistons whose starting five match-up okay with Cleveland. They have the lowest scoring bench in the league. In contrast to the Cavaliers, whose bench players largely provide great defense, the Pistons’ scrubs don’t have additional value, like the male half of Mike & Molly. Three Pistons starters played at least 32 minutes and outscored the Cavaliers while they were on the floor (Tobias Harris, Reggie Jackson, Marcus Morris), but the bench was beaten badly during their time on the court. Stanley Johnson (-20, 21 min), Steve Blake (-20, 9½ min), Reggie Bullock (-12, 12 min) and Anthony Tolliver (-15, 9 min) killed the Pistons faster than reservations at the Roach Motel. Frye got extended burn in small ball lineups replacing both Timofey Mozgov and Tristan Thompson, who sat the entire first half after picking up two fouls under three minutes into the game. Frye, who didn’t play in the first game, hit a three, grabbed four boards and blocked a shot in 11 minutes, looking very good during his time on the floor. Head Coach Tyronn Lue turned in another solid coaching performance, finding the right combinations, and pulling Iman Shumpert for Matthew Dellavedova when, as expected, the Pistons tried to hide Andre Drummond on the poor shooting Shumpert. The Cavaliers didn’t really look better offensively last night. The ball movement may have been more consistently present but it wasn’t as consistently generous. Nonetheless, the Cavs found the points when they needed them and showed that when they can get the three ball to fall they’re pretty unstoppable, like Lindsay Lohan in line at Cocaine Buffet (a subsidiary of Narcotics Corral). 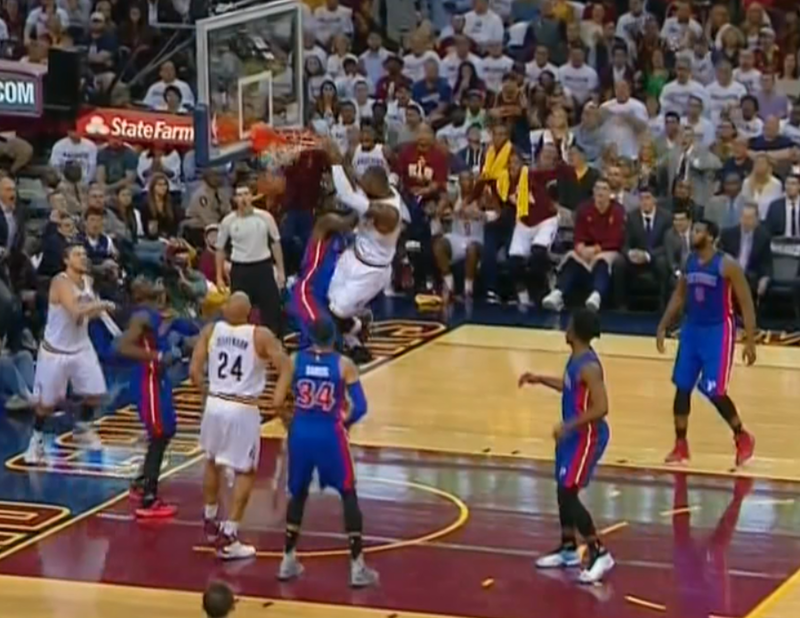 Some of this falls in the Pistons laps after they packed the lane to take away Irving and James' driving lanes. Pinching in the help defense on drives has opened up shots on the perimeter, giving the Cavaliers lots of open shots. The Pistons only contested 20 of the Cavaliers 38 shots, and that’s how many the Cavaliers hit, tying an NBA playoff team record for makes. Thankfully the Cavs have a third option that’s almost as reliable as Kevin Love. 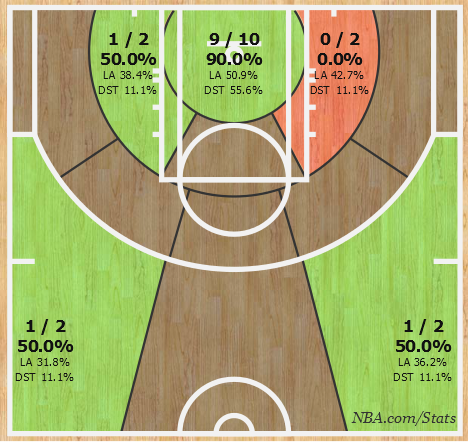 J.R. Smith hit at least two threes in each of the first three quarters, smoothing out the scoring load on his way to 21 points. LeBron had 16 in the first half and finished with 27 on some very efficient 12-18 shooting. Unlike Sunday where he was a facilitator, racking up 11 assists, James only had 3 assists last night, as he put more offensive pressure on the Pistons. Instead, Delly played facilitator with nine assists and eight points. Though the Cavaliers held only a two-point lead at halftime, they came out in the second half with even better defense than on Sunday, when they held the Pistons to 40% shooting in the second half. Last night Detroit shot 35% in the second half, and the Cavs forced seven turnovers which they turned into eleven points during the crucial third quarter run that blew the game open. The Pistons scored three straight baskets on jump shots to take an 11-4 lead. The Cavs didn’t look very crisp to start off, but Kyrie Irving stepped into the breach. He probably won’t get any credit for this, but his instant offense helped steady the team when it seemed possible things could’ve gone either way. He scored 11 straight points over the next four minutes, to single-handedly keep the Cavs in the game, at 17-15. Being a member of the Timofey Mozgov fan club’s lonelier than the guy at the kissing booth with a cold sore. We try to keep up appearances but these are hard times, even taking Putin’s ascendency into consideration. Mozgov got a sympathy letter from Ivan Illych. These are dark times indeed. As we noted with our requiem in the last column, it looks like Mozgov’s hourglass has less beach left in it than Kansas, but he takes the fall better than L.A. Confidential’s Rollo Tomasi. We watched as the Pistons answered with a 9-2 run as soon as Love picked up his second foul and was replaced by Iman Shumpert. We have no idea what happened, but Iman Shumpert is successively beaten to his left so badly we should call him “Hillary” in this clip. The one where without a pick, Jackson just beats Shumpert to his left is particularly disconcerting. Here’s one of the plays we think Lue was referring to. The double pick is much like the play the Cavs used in the fourth quarter against the Pistons on Sunday. Here you can see the Cavs trap/blitz the ballhandler who dumps it to a rolling Drummond. 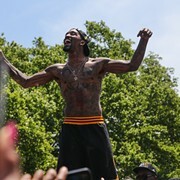 This is apparently J.R.’s man because help comes from the weakside. Starting LeBron in the second quarter enabled the team to get off quickly, opening the quarter on a 13-2 run. Delly had five assists in the first six minutes as the team took a six-point lead on a Love three, taking advantage of the small ball lineup. Drummond doesn’t want to leave the paint to challenge Love, which Delly takes advantage of with a little feint at a drive, while a sort of screening Drummond’s close-out. When Delly left, the Pistons went on a 9-3 run taking advantage of the Drummond/Jackson pick-and-roll as noted above for the three scores Lue mentioned. 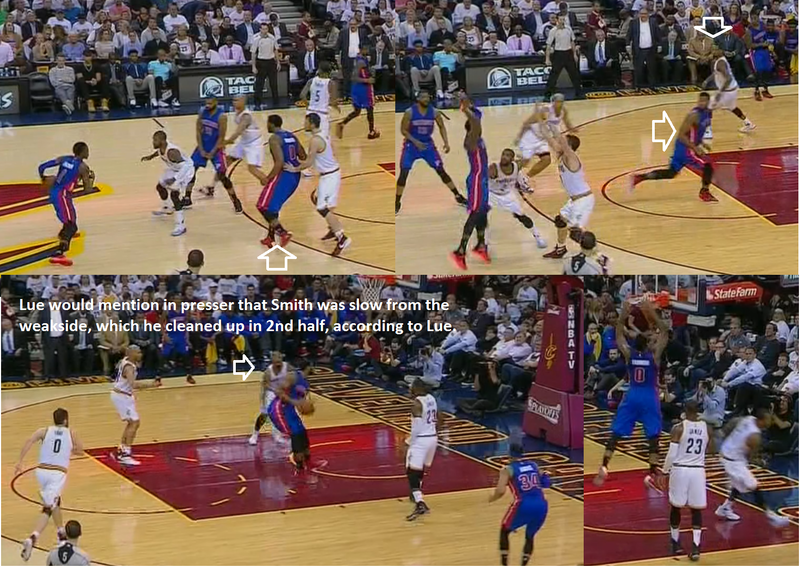 On defense, he guarded Shumpert who missed a three and left a minute later for Delly, which slowed their roll. The Pistons opened the third period with seven quick points to take a five-point lead, the same kind of micro-burst that prompted a timeout from Lue on Sunday in the fourth quarter. Just like Sunday the Cavs answered. "It happened last game," said Lue. "We got down, called a timeout, came to the bench and no one had their head down. (We were) still confident. I just knew we had to pick it up." It began with an Irving layup and was followed with an Irving three in transition that came off of making the extra pass. That three seemed to spark the team, and the ball movement and three point shooting were both quite good the rest of the quarter, making 6 of 10, including two each by James and Smith. On this one Kyrie returned the favor for J.R.
On this one LeBron finds Love for a three after collapsing the defense with his drive. 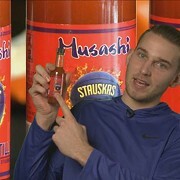 The Pistons were so worried about penetration that they were getting scorched at the line. Though this is a grab from the second quarter the process is the same. As you can see the Pistons all have a foot in the lane overplaying the rim and leaving the perimeter open. Once the Cavs started rolling, using their defense to feed the offense there was no stopping the juggernaut. By the fourth quarter the Pistons looked exhausted and put up only limited resistance, allowing the Cavs to push the 14-point lead at the end of the third to the 17 point final margin. The way the Pistons play has limited the Cavaliers ability to get to the rim other than through post-up. However post-up slows down the game, and the Cavs are better when the ball moves. None of this is news to fans, but what’s cool is watching the Cavs mix things up and not rely on too much ISO or post-up to the exclusion of ball movement and swings from one side of the floor to the other. Perhaps this isn’t registering with a lot of people, but the offense has lately combined a fair amount of versatility with a ruthless determination to take what it wants, whether that’s Love post-ups, James off-the-ball cuts through the lane or J.R. Smith's perimeter threes. They look capable of whatever is needed offensively, and the explosiveness of their small ball lineups is apparent. But remember that not all lineups are created equal. One of the Love small ball lineups (with Shumpert/Irving/Smith) was -5 during its nearly five minute run. We are pleasantly surprised and impressed by Lue’s showing so far, and the team’s focus and intensity in-game. We haven’t seen the kinds of loss of focus that have sometimes accompanied their more dominant stretches. Once it clicks on, they’ve been pretty good about sustaining it. Let’s hope that continues. The next game is Friday at the Palace in Auburn Hills. We’ll be there posting analysis, video and snark. You can follow along with us on Twitter @CRS_1ne, and read our postgame analysis here in the Scene & Heard section on Saturday.